I need to intervene here and make mention of one thing. Over the past almost-10-years of working at home in the field (one of many) of social media, I've learned to pick my battles. If I were to comment on everything that pisses me off or put my two-cents in where I see fit, I would be at my desk 20 hours a day. Doing just that. However, when it comes to animals, those are my battles of choice. I replied. "While I acknowledge your frustration, please don't blame the dog. There are a slew of reasons why the dog is barking, however, I'm willing to bet it's because the dog wants to be back inside. Or maybe the dog is scared, hungry, thirsty. Barking is one of the many ways a dog will communicate. The blame falls on the human for ignoring their dog. For an hour. Outside." "The dog should know it's late and shouldn't bark. I'm trying to sleep." "It's highly unlikely the dog is wearing a watch or has any sense of how late it is or that you're trying to sleep. Their human does though." "It's not the human outside barking. It's the dog. I'm trying to sleep. I have to work in the morning." Please note that while I opted to embark on this battle, I'm fully aware I can't reason with stupid people. At that point, I signed out of Facebook and began tackling my many piles of work. This wasn't the first time I had seen and replied to a similar post. People always blame the dog. I get it. It's the dog who's barking. Yes, but there's a reason why. The problem isn't going to be solved until the reason why is resolved. And this involves the human. The dog parent. 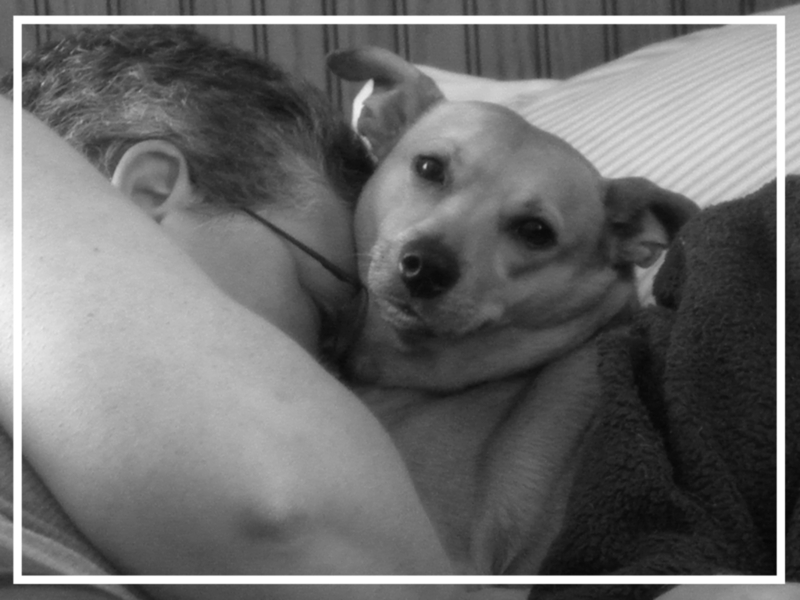 If the dog parent doesn't want to be involved, then it's time to step up to the plate. Getting in touch with your local Animal Control Officer is my suggestion. Please remember, when doing this, it's all in how you present something. ACO's are busy and dealing with more than you could ever imagine. What this translates to is be nice. Ranting and raving and dropping the F-Bomb isn't going to solve anything. Express your concern. More often than not, it's just a case of the dog parent being inconsiderate. A visit from the ACO typically resolves the problem. However, sometimes, the dog being left outside for great lengths of time and excessive barking is the tip of the iceberg to a much larger issue. Abuse. Neglect. A sick dog in need of medical treatment. Our Lobo is an example of just that. I know you're tired. Pissed off. Fed up with hours of barking. Your patience is thin. But please. Please. Don't get angry at the dog. And...don't ignore the situation.